I am currently working as Professor of Gender Studies at the Department of Cultures at the University of Helsinki (2008–). During 2011-2015 I acted as Academy Professor of the Academy of Finland leading the academy professor project Philosophy and Politics in Feminist Theory. 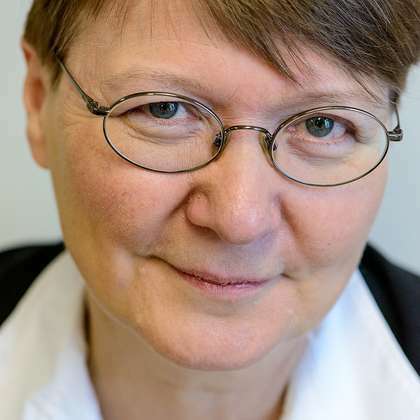 Previously, I have worked for five years as Professor of Gender Studies at the University of Jyväskylä where I also had a permanent position as a professor of Political Theory. For the past ten years I have been actively leading cross-generational research teams: I was a vice leader of the Finnish Centre of Excellence in Political Thought and Conceptual Change (2006-2011), and presently I work together with early career scholars within the Politics of Philosophy and Gender (PPhiG) research team within which we explore various topics of feminist thought, always with a political accent. I am a multidisciplinary scholar, originally trained in the areas of philosophy, history, and politics, with feminist and queer interests. 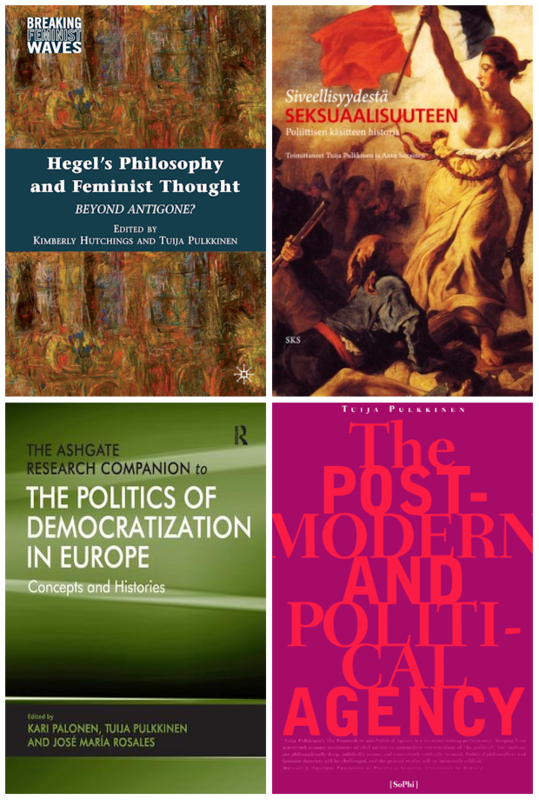 I started as a scholar of Hegel and of political theory (Valtio ja vapaus [The State and Freedom/Liberty], 1989), and have since studied closely many other thinkers and texts, among them Jean-Francois Lyotard, Hannah Arendt, Judith Butler and Jacques Derrida. In my early career I worked on the icon of Finnish nineteenth century nationalist thought, the Hegelian philosopher J.V. Snellman. Since that time I have been interested in the patterns of political thought and democratic theory. I have also studied the history of political concepts, such as the concept valtio (the State) in Finnish. In Finland I was among those with an early interest in the 20th century French philosophy (Derrida, Foucault), and keen on developing postmodern anti-foundational thought. I was internationally among the first to take serious interest in Judith Butler’s work. I published on this work in the early 1990s, and later also co-translated Butler’s Gender Trouble into Finnish. My current research continues and develops further the work I conducted in my academy professor’s project Philosophy and Politics in Feminist Theory (2011-2015) concentrating on contemporary feminist theory. In my own work I study the main figures of current feminist theory, such as Luce Irigaray, Elizabeth Grosz, Judith Butler, Rosi Braidotti, and Adriana Cavarero with an approach that I call ‘politics of philosophy’. I pay attention to the scholars’ attachments to different philosophical traditions, the ensuing conceptual conflicts, and how these conflicts are textually played out. In addition to my own work the project funds the work of seven PPhiG team members for different periods of time. I strongly value international contacts in my area of study. In the early 1990s I spent four years at the University of California Santa Cruz to work on my book The Postmodern and Political Agency (1996). I then worked for a year at the philosophy department at University of Greifswald, Germany in 1998–1999, visited Minnesota AFS in 2002, and spent two years 2007–2009 at the University of Manchester, CRESC. Most recently I visited in 2012 for half a year University of Paris 8 Gender Studies. The PPhiG team currently entertains close connections to many institutions abroad, including Paris 8 (Gender Studies), University of London Birkbeck College (BIGS), and to Kingston University (CREPH). I have concluded supervision of 16 doctoral students in multiple different disciplines and universities, and I currently advise 8 doctoral students in Helsinki. I am also currently the director of the national Doctoral Programme of Gender Studies (2012–2015), as well as the director of the new Doctoral Programme in Gender, Culture and Society (SKY) within the University of Helsinki (2014–). I am an advisory board member of journals such as Nora and the new Comment S’en Sortir. I have also worked for many years as a co-editor of the journal Redescriptions – Political Thought, Conceptual Change and Feminist Theory, which started as a Finnish publication, yet has steadily gained in international weight. Redescriptions will be published as a Manchester University Press Journal beginning in 2014. Hegel’s Philosophy and Feminist Thought: Beyond Antigone? Pulkkinen, T. (ed.) & Hutchings, K. (ed. ), 2010, New York: Palgrave Macmillan. 288 p.
Palonen, K. (ed. ), Pulkkinen, T. (ed.) & Rosales, J. M. (ed. ), 2008, Aldershot: Ashgate. 421 p.
Pulkkinen, T., Sep 2016, In : Differences. 27, 2, p. 103-124 22 p.
Pulkkinen, T., 2016, The Wiley-Blackwell Encyclopedia of Race, Ethnicity, and Nationalism. Stone, J., Routledge, D. M., Rizova, P., Smith, A. D. & Hou, X. (eds.). London: Wiley Blackwell, p. 1658-1660 3 p.
The Returns of Antigone: Review of Tina Chanter and Sean D. Kirkland (eds)The Returns of Antigone. Interdisciplinary Essays. Keynote lecture: "Feminism and Philosophy – a Matter of History and Politics" in Symposium Feminist Philosophy: Time and History. Keynote lecture: “A Practice of reading: The Politics of Philosophy in Feminist Theory Texts.” In Feminist Reading 2: Theory, Practice and Politics of Reading Today. Invited presentation: “Turn or no Turn? Rosi Braidotti and Ontology” Symposium “DIVERSIFYING PHILOSOPHY. RECENT TRENDS IN FEMINIST THEORY”.11.-12. 9.2015. VU-University Amsterdam. Keynote lecture: “Queer Community – Impossible Community? Indecency and Sittlichkeit”. Communautés Impossibles/Impossible Communites. Université Paris 8 Vincennes Saint-Denis. Pulkkinen, T., Elomäki, A., Honkasalo, J., Kinnunen, H., Kornak, J., Patosalmi, M. & Urrio, E.
Pulkkinen, T., Elomäki, A., Honkasalo, J., Kinnunen, H., Kornak, J., Oksala, J., Patosalmi, M. & Urrio, E.
Pulkkinen, T., Nousiainen, K., Oksala, J., Koivunen, A., Juvonen, T., Sorainen, A., Werner, L., Elomäki, A., Patosalmi, M., Urrio, E., Kornak, J., Kinnunen, H., Honkasalo, J. & Modinos, T.
Pulkkinen, T., Werner, L., Sorainen, A., Oksala, J., Elomäki, A., Urrio, E., Kornak, J., Honkasalo, J., Patosalmi, M., Kinnunen, H., Koivunen, A., Juvonen, T., Nousiainen, K. & Modinos, T.